AMCO can supply different components for specific needs in water purification. We have complete line of water filters and activated carbon filters, ranging from 9" to 63" diameter tanks and different types of filtration medias to meet the requirements for water constituencies' removal. 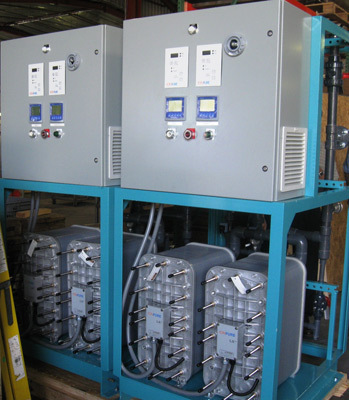 Our Reverse Osmosis units are the core of our high purity water systems and combined with our Electro Deionization skids we can provide water quality of 16 megΩ for the power industry.